Chief Judge Michel reported in his State of the Court address on May 20, 2010 that the Federal Circuit will be sitting in Atlanta, Georgia this November. The Federal Circuit usually makes at least one visit outside of D.C. each year. If you are curious when the last time was that the Federal Circuit sat in your city, you can view the list here: [Link]. I thought this was a humorous comment by Judge Plager during the oral argument of Orion IP, LLC v. Hyundai Motor America, 2009-1130 (Fed. Cir. May 17, 2010), : “We’re a court of errors. We don’t make ’em –we correct ’em.” [Listen]. Does Wall Street Follow Oral Arguments? I’ve been curious whether there is any indication that institutional investors follow the oral arguments of patent cases at the Federal Circuit. The litigation between Tivo and Echostar finally presented an opportunity to explore this further. A: August 17, 2006, Judge Folsom issues an injunction against Echostar. B: October 4, 2007, the Federal Circuit hears oral argument in the appeal of the injunction. C: January 31, 2008, the Federal Circuit reverses-in-part (hardware infringement) and affirms-in-part (software infringement, damages, injunction) Judge Folsom’s decision. D: June 2, 2009, Judge Folsom issues a contempt ruling in regard to Echostar’s design around design. E: November 2, 2009, the Federal Circuit hears oral argument in the appeal of the contempt ruling. F: March 4, 2010, a three member panel affirms the contempt ruling. G: May 14, 2010, the Federal Circuit grants en banc review of contempt ruling. 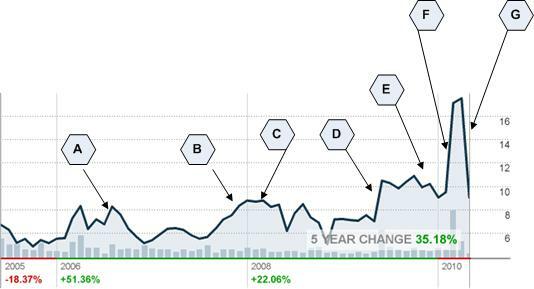 A better graphic would show that Tivo’s stock price reacted significantly following events A, C, D, F, and G. It did not appear to react significantly in response to the oral arguments. Obviously, this offers just a couple of data points; but, it may indicate that institutional investors are not taking full advantage of their opportunities to evaluate patent litigation. Regardless of the outcome of the Tivo/Echostar litigation, Tivo’s stock performance is a strong reminder that some investors value the power of patents. I’ve been reading the new book “Patent Law for Computer Scientists: Steps to Protect Computer Implemented Inventions” (Springer publishing 2010) which was written by European Patent Examiners Daniel Closa, Alex Gardiner, Falk Giemsa, and Jörg Machek. One of the interesting observations that they make in the book is that the first patent ever granted that related to software is GB1039141 granted in 1966 and titled “A Computer Arranged for the Automatic Solution of Linear Programming Problems.” The assignee — British Petroleum Company. The AIPLA has posted its list of speakers for the Electronics and Computer Law Road Show in Denver, CO on June 24th. Judge Linn will be speaking along with some of my favorite speakers in Steve Kunin, Tom Irving, David Hricik, Carl Moy, and others. Details of the program are available here: [Brochure]. As part of the confirmation process, judicial nominees submit a public questionnaire to the Senate Judiciary Committee. This is a link to the public questionnaire for Judge Kathleen O’Malley’s nomination to the Federal Circuit: [Link]. This is a link to the public questionnaire for Edward C. DuMont’s nomination to the Federal Circuit: [Link]. No dates have been set yet for Judge O’Malley’s or Mr. DuMont’s hearings before the Senate Judiciary Committee. The Law.com website recently ran an article about the case of United States v. Bari, 09-1074-cr (2d. Cir March 22, 2010) in which the defendant in a criminal case challenged the district court judge’s decision as being in violation of Rule 605 of the Federal Rules of Evidence. The district court judge had apparently conducted a Google search to confirm his intuition on a “matter of common knowledge” (i.e., how many rain hats were available in the marketplace). 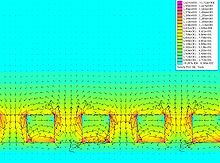 You can read the Intamin decision from 2007 and learn more about Halbach arrays here: [Read]. You can read the U.S. v. Bari decision here: [Read]. 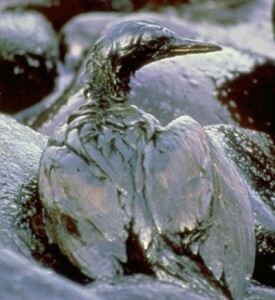 A s the nation begins to appreciate the impact of the oil spill in the Gulf of Mexico and the Supreme Court prepares to wade in on the issue of patentable subject matter in Bilski v. Kappos, one can’t help but be reminded of the Diamond v. Chakrabarty, 447 U.S. 303 (1980) case. In that case the Supreme Court dealt with the scope of section 101 and whether a living organism constituted patentable subject matter. Dr. Chakrabarty’s invention dealt with an oil digesting bacteria that could digest about two-thirds of the hydrocarbons found in a typical oil spill. With its landmark decision, the Supreme Court declared Dr. Chakrabarty’s invention patentable. That bacteria would later be used to remediate the oil spill from the Exxon Valdez and presumably will be used on the oil spill in the Gulf, as well. Dr. Chakrabarty’s invention and the Diamond v. Chakarabarty decision underscore the benefits of an expansive interpretation of 35 U.S.C. §101 — an interpretation that encourages innovation and promotes the disclosure of new ideas. You can listen to the oral argument in Diamond v. Chakrabarty here: [Listen]. You are currently browsing the 717 Madison Place blog archives for May, 2010.